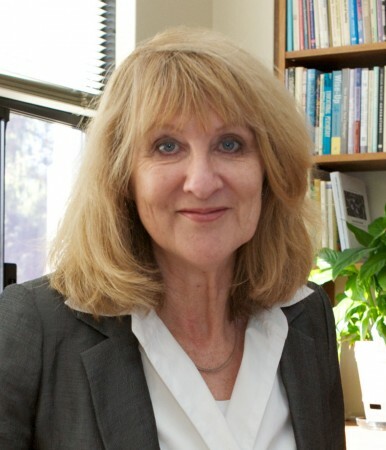 Dr Jan Herrington is Professor of Education at Murdoch University in Perth, Western Australia. The last 20 years of her professional life have been devoted to the promotion and support of the effective use of educational technologies in learning in high schools and universities (Curtin, ECU, and Wollongong before Murdoch). Jan’s recent research focuses on authentic learning, mobile learning, and design-based research. She has published widely, including a co-edited book entitled Authentic Learning Environments in Higher Education (with Anthony Herrington) and a co-authored book in 2010 (with Thomas C Reeves and Ron Oliver) A Guide to Authentic e-Learning, winner of the Association for Educational Communication and Technology (AECT) Outstanding Book of the Year Award in 2010. Her AuthenticLearning.info website provides many resources and links on authentic learning. She was a Fulbright Scholar in 2002 at the University of Georgia, USA, and she is currently Chair of the Executive Committee of the EdMedia World Conference on Educational Media and Technology. Current projects include projects on mobile learning and Aboriginal Education Workers (AEWs) (funded by OLT) and learning analytics (funded by Echo 360), as well as international collaborations in Finland, South Africa and USA. Leppisaari, I., Herrington, J., Vainio, L., & Im, Y. (2011). Authentic e-learning in a multicultural context: Virtual benchmarking cases from five countries. In Siew-Mee Barton, J. Hedberg & K. Suzuki (Eds. ), Proceedings of Global Learn Asia Pacific 2011 (pp. 961-970). Chesapeake, VA: AACE. EdMedia Outstanding Paper Award (2008): Verenikina, I., Herrington, J., Peterson, R. & Mantei, J. (2008, June). The affordances and limitations of computers for play in early childhood. Paper presented at EdMedia 2008: World Conference on Educational Multimedia, Hypermedia & Telecommunications, Vienna, Austria. Peterson, R., Herrington, J., Konza D., Tzvetkova-Arsova, M., & Stefanov, K. (2007, October). Investigating the role of eportfolios and online courses in a community of practice: Assisting Bulgarian special educators with lifelong competency development Paper presented at the ePortfolio 2007, Maastricht, the Netherlands, 17-19 October 2007. Winner of the Best Academic Paper Award. Award to conduct research in the United States, awarded by the Australian-American Fulbright Commission. Herrington, J., Oliver, R., & Reeves, T.C. (2002). Patterns of engagement in authentic online learning environments. Paper presented at the 19th Annual ASCILITE Conference, Auckland, NZ. Herrington, J. (2014). Designing for mobile learning using authentic learning. Keynote address to the Higher Colleges of Education Learning by Doing Conference. Dubai, UAE, 10 April. Herrington, J. (2014). Mobile learning: Global trends and implications for authentic learning. Keynote address to the Open University of Japan International Symposium, 2014. Chiba, Japan, 8 February. Herrington, J. (2013). The misapprehensions of authentic learning: What are the critical characteristics? Keynote address to the Authentic Learning Colloquium, University of the Western Cape, South Africa, 22 March, 2013. Herrington, J. (2013). Designing for mobile technologies in authentic learning environments. Keynote address to the Higher Education Research Group of Adelaide Conference, From bricks to bytes. Adelaide, 26 September, 2013. Herrington, J. (2013). Designing productive tasks in authentic learning environments. Keynote address (Week 5) to the How to teach online MOOC. Honolulu, Hawaii, 9 October, 2013. Herrington, J. (2013). Preparing students for creative options in future work: The role of authentic learning. Address to the OLC4TPD online community, Indonesia. 4 October, 2013. Herrington, J. (2011). Authentic Learning. Keynote presentation to the Change 11 MOOC (Massive Open Online Course), 15 December, Networked online. Herrington, J. (2011, October). Tools for learning: Mobile phones and authentic learning tasks. Keynote presentation to the ULearn Conference: Collaborate, innovate, educate, 20 October, Rotorua. Herrington, J. (2011, August). The possibilities of authentic learning. Keynote presentation to the Western Australian Institute or Educational Research 26th Research Forum, 13 August, Fremantle. Herrington, J. (2011, July). When it’s all about the task: Challenges for the LMS. Keynote presentation to the Moodlemoot Conference: The community canvas, 19 July 2011, Sydney. Herrington, J. (2010, December). Authentic learning 15 years on: More happening than hope. Keynote presentation to the ASCILITE Conference: Curriculum, technology & transformation for an unknown future, 6 December 2010, Sydney. Herrington, J. (2010, November). Revisiting the link between teaching and learning research and practice: Authentic learning and design-based research. Keynote presentation to the International Association for Scientific Knowledge Teaching and Learning 2010: Advances in Teaching and Learning Research, Seville, 29 Nov-1 Dec, 2010. Herrington, J. (2010, October). Authentic learning in practice: Using technology in innovative and authentic ways. Keynote presentation to the Tech4ward conference: A forum on teaching and learning with technology. 15 October, Taylor’s University, Lakeside, Kuala Lumpur. Herrington, J. (2010, August). Enhancing authentic learning capabilities. Keynote presentation to the Institute of Technical Education Teachers’ Conference: Harnessing system capability, advancing learning-to-be, 31 August – 1 September, 2010, Singapore. Herrington, J.A. (2010, April). Critical characteristics of authentic tasks in mobile learning. Keynote presentation to the First Symposium on Applications of Information and Communications Technology in Education and Training, 12-14 April, 2010, Riyadh, Saudi Arabia. Herrington, J. (2010, March). Design research and the link between educational research and practice. Keynote presentation to the Educational Design Research: Local Change and Global Impact Conference, March 26–27, 2010, Athens, Georgia, USA. Herrington, J. (2010, March). Integrating educational technologies with pedagogy and authentic learning. Keynote presentation to the Hwa Chong International Education Conference 2009: Learning without borders. 1-2 March, Singapore. Herrington, J.A. (2010, February). New pedagogies for participatory learning. Keynote presentation to the University of the Philippines Open University: Pedagogies for the Digital Age, 23 February, 2010, Laguna, Philippines (via video and teleconference). Herrington, J. (2010, January). Sustainable online and mobile learning: Content is no longer king. Keynote presentation to the Teaching and Learning Forum 2010: Educating for Sustainability. 28-30 January, Perth. Herrington, J. (2009, November). Authentic assessment of authentic tasks. Keynote address to the Australian Technology Network Assessment Conference 2009: Assessment in Different Dimensions, 19-20 November, 2009, RMIT, Melbourne. Herrington, J. (2009, July). Blended learning and new technologies: Authentic learning using powerful cognitive tools. Keynote address to the International Conference on ICT in Teaching and Learning: Blending technologies and Teaching Practice, 6-8 July 2009, Hong Kong. Herrington, J. (2008, May). Pedagogical models: Myths & de-mythologization. From magic to the real world: Authentic e-learning as a pedagogical model. Keynote address to the Graduation Seminar of the Hypermedia Open Center, Politecnico di Milano. Milan, Italy, 22 May, 2008. Herrington, J. (2008, May). Web environments and authentic learning. Keynote address to the NU 2008 Conference: Learning in a new time: Dialogue on teaching in higher education, Kalmar, Sweden, 7-9 May, 2008. Herrington, J. (2007, November). Proving or improving? Strengthening the link between educational research and practice. Keynote address to the Australian Association for Research in Education (AARE) Conference, Fremantle, WA, 25-29 November, 2007. Herrington, J. (2007, September). Authentic learning in higher education. Keynote address to the Serving up the future conference, University of Wollongong, 26 September, 2007. Herrington, J. (2006, October). Authentic e-learning designs in higher education. Keynote Speaker for E-Learn 2006–World Conference on E-Learning in Corporate, Government, Healthcare, & Higher Education, October 13-17, 2006 in Waikiki Beach, Honolulu, Hawaii, USA. : The future of e-learning has arrived! Tec de Monterrey, Mexico, 28-30 November 2006. Herrington, J. (2005, April) Authentic learning using ICT. Keynote address to Supporting Millennial Learners: Association of Independent Schools of Queensland ICT Forum, Brisbane, 28-29 April. Herrington, J. (2004, September). Beyond information: Online learning and the engaged learner. Keynote address to the International Conference on Educational Technologies (ICET), Singapore, 9-11 September, 2004. Herrington, J. (2004, February). Contemporary trends in e-learning design and their advantages. Keynote address, Best practice in learning and teaching: Learning from our challenges: Proceedings of the 2nd Annual Teaching and Learning Showcase, 16-20 February, 2004, Central Queensland University, Rockhampton, Qld. Herrington, J. (2003, April). Flexible learning in the USA and Australia. Keynote address, Flexible Learning Leaders Induction Workshop, Australian Flexible Learning Framework, 27-30 April, Canberra, ACT. Herrington, J., Reeves, T., Oliver, R., (2010),A Guide to Authentic e-Learning,Routledge. Herrington, A., Herrington, J., (2006),Effective use of the internet: Keeping professionals working in rural Australia,RIRDC. Herrington, J., Mitchell, V., Rowe, M., Titus, S., (2015),The case studies: Authentic learning,In: Activity theory, authentic learning, and emerging technologies: Towards a transformative higher education pedagogy, Routledge, pages 192 to 210. Herrington, J., Reeves, T., Oliver, R., (2014),Authentic learning environments,In: Handbook of Research on Educational Communications and Technology (4th ed), Springer, pages 401 to 412. Herrington, J., Ostashewski, N., Reid, D., Flintoff, K., (2014),Mobile technologies in teacher education : Preparing pre-service teachers and teacher educators for mobile learning,In: Effective teacher education: Partnerships, reflective practice and the place of technology, Sense Publishers, pages 137 to 151. Teras, H., Leppisaari, I., Teras, M., Herrington, J., (2014),Learning cultures and multiculturalism: Authentic e-learning designs,In: Multicultural awareness and technology in higher education: Global perspectives, Information Science Reference, pages 197 to 217. Amiel, T., Herrington, J., (2012),Authentic tasks online: Two experiences,In: Informed design of educational technologies in higher education: Enhanced learning and teaching, Information Science Reference, pages 152 to 165. Reeves, T., Herrington, J., (2010),Authentic tasks: The key to harnessing the drive to learn in members of "generation me",In: Looking toward the future of technology enhanced education: Ubiquitous learning and the digital native, IGI Global, pages 205 to 220. Herrington, J., (2009),Using technology in pedagogically responsive ways to support literacy learners,In: Handbook of Research on New Media Literacy at theK-12 Level: Issues and Challenges, Information Science Reference, pages 203 to 215. Reeves, T., Herrington, J., Oliver, R., (2008),Design Research: A Better Approach to Improving Online Learning,In: The E-Learning Handbook: Past Promises, Present Challenges, Pfeiffer, pages 463 to 480. Herrington, A., Herrington, J., (2008),What is an Authentic Learning Environment?,In: Online and Distance Learning: Concepts, Methodologies, Tools, and Applications, Information Science Reference, pages 68 to 76. Herrington, J., Oliver, R., Herrington, A., (2007),Authentic Learning on the Web: Guidelines for Course Design,In: Flexible Learning in an Information Society, Information Science Publishing, pages 26 to 35. Herrington, J., Reeves, T., Oliver, R., (2006),A Model of Authentic Activities for Online Learning,In: Interactions in Online Education: Implications for Theory and Practice, Routledge, pages 90 to 101. Oliver, R., Herrington, J., Reeves, T., (2006),Creating authentic learning environments through blended learning approaches,In: The Handbook of Blended Learning: Global Perspectives, Local Designs, Pfeiffer, pages 502 to 515. Herrington, J., Oliver, R., (2006),Professional Development for the Online Teacher: An Authentic Approach,In: Authentic Learning Environments In Higher Education, Information Science Publishing, pages 283 to 295. Herrington, A., Herrington, J., (2006),What is an Authentic Learning Environment?,In: Authentic Learning Environments In Higher Education, Information Science Publishing, pages 1 to 13. Herrington, A., Herrington, J., Glazer, E., (2006),An Authentic Approach to Facilitating Transfer of Teachers' Pedagogical Knowledge,In: Authentic Learning Environments In Higher Education, Information Science Publishing, pages 182 to 193. Oliver, R., Herrington, J., (2003),Factors influencing quality online learning experiences,In: Quality Education @ a Distance, Kluwer Academic Publishers, pages 129 to 136. Jackson-Barrett, E., Gower, G., Price, A., Herrington, J., (2019), Skilling Up: Providing Educational Opportunities for Aboriginal Education Workers through Technology-based Pedagogy,	Australian Journal of Teacher Education, 44, 1, . Price, A., Jackson-Barrett, E., Gower, G., Herrington, J., (2017), Understanding the Complex Work of Aboriginal Education Workers in Schools,	The Australian Journal of Indigenous Education, Published online, , pages 1 - 13. Vesper, J., Kartoglu, U., Herrington, J., Reeves, T., (2016), Incorporating risk assessment into the formative evaluation of an authentic e-learning program,	British Journal of Educational Technology, 47, 6, pages 1113 - 1124. Ozverir, I., Herrington, J., Osam, U., (2016), Design principles for authentic learning of English as a foreign language,	British Journal of Educational Technology, 47, 3, pages 484 - 493. Vesper, J., Herrington, J., Kartoglu, U., Reeves, T., (2015), Initial design principles for establishing a learning community for public health professionals through authentic e-learning,	International Journal of Continuing Engineering Education and Life-Long Learning, 25, 2, pages 241 - 257. Leppisaari, I., Kleimola, R., Herrington, J., Maunula, M., Hohenthal, T., (2014), Developing more authentic e-courses by integrating working life mentoring and social media,	Journal of Interactive Learning Research, 25, 2, pages 209 - 235. Teras, H., Herrington, J., (2014), Neither the frying pan nor the fire: in search of a balanced authentic e-learning design through an educational design research process,	International Review of Research in Open and Distance Learning, 15, 2, pages 232 - 253. Ashford-Rowe, K., Herrington, J., Brown, C., (2014), Establishing the critical elements that determine authentic assessment,	Assessment and Evaluation in Higher Education, 39, 2, pages 205 - 222. Herrington, J., Parker, J., Boase-Jelinek, D., (2014), Connected authentic learning: Reflection and intentional learning,	Australian Journal of Education, 58, 1, pages 23 - 35. Boase-Jelinek, D., Parker, J., Herrington, J., (2013), Student reflection and learning through peer reviews,	Issues in Educational Research (Online), 23, 2, pages 119 - 131. Leppisaari, I., Herrington, J., Vainio, L., Im, Y., (2013), Authentic e-learning in a multicultural context: Virtual benchmarking cases from five countries,	Journal of Interactive Learning Research, 24, 1, pages 53 - 73. Bozalek, V., Gachago, D., Alexander, L., Watters, K., Wood, D., Ivala, E., Herrington, J., (2013), The use of emerging technologies for authentic learning: A South African study in Higher Education,	British Journal of Educational Technology, 44, 4, pages 629 - 638. Herrington, J., Parker, J., (2013), Emerging technologies as cognitive tools for authentic learning,	British Journal of Educational Technology, 44, 4, pages 607 - 615. Reeves, T., McKenney, S., Herrington, J., (2011), Publishing and perishing: The critical importance of educational design research,	Australasian Journal of Educational Technology (Online), 27, 1, pages 55 - 65. Leppisaari, I., Vainio, L., Herrington, J., Im, Y., (2011), International e-benchmarking: Flexible peer development of authentic learning principles in higher education,	Educational Media International, 48, 3, pages 179 - 191. Leppisaari, I., Herrington, J., Im, Y., Vainio, L., (2011), Creating an e-Benchmarking Model for Authentic Learning: Reflections on the Challenges of an International Virtual Project,	Educational Technology International, 12, 1, pages 21 - 46. Herrington, J., Verenikina, I., Peterson, R., Mantei, J., (2010), Computers and Play in Early Childhood: Affordances and Limitations,	Journal of Interactive Learning Research, 21, 2, pages 139 - 159. Shanahan, M., Herrington, A., Herrington, J., (2010), Professional reading and the Medical Radiation Science Practitioner,	Radiography, 16, 4, pages 268 - 278. Hall, A., Herrington, J., (2010), The development of social presence in online Arabic learning communities,	Australasian Journal of Educational Technology (Online), 26, 7, pages 1012 - 1027. Herrington, A., Herrington, J., Hobin, G., Reid, D., (2009), Transfer of online professional learning to teachers' classroom practice,	Journal of Interactive Learning Research, 20, 2, pages 189 - 213. Shanahan, M., Herrington, A., Herrington, J., (2009), The Internet and the medical radiation science practitioner,	Radiography, 15, 3, pages 233 - 241. Herrington, J., Konza, D., Tzvetkova-Arsova, M., Stefanov, K., (2008), Assisting Bulgarian special educators with competency development online,	Campus-Wide Information Systems, 25, 4, pages 197 - 208. Brickell, G., Herrington, J., (2008), Authentic field experiences: The design of complex web-based tasks,	UCFV Research Review, 1, 3, pages -. Herrington, J., (2007), Authentic learning supported by technology: 10 suggestions and cases of integration in classrooms,	Educational Media International, 44, 3, pages 219 - 236. Herrington, J., Reeves, T., Oliver, R., (2007), Immersive learning technologies: Realism and online authentic learning,	Journal of Computing in Higher Education: research & integration of instructional technology, 19, 1, pages 65 - 84. Woo, Y., Herrington, J., Agostinho, S., Reeves, T., (2007), Implementing authentic tasks in web-based learning environments,	Educause Quarterly, 3, , pages 36 - 43. Oliver, R., Herrington, J., Herrington, A., Reeves, T., (2007), Representing authentic learning designs supporting the development of online communities of learners,	Journal of Learning Design, 2, 2, pages 1 - 21. Brickell, G., Herrington, J., (2006), Scaffolding learners in authentic problem-based e-learning environments: The Geography Challenge,	Australasian Journal of Educational Technology (Online), 22, 4, pages 531 - 547. Herrington, J., Oliver, R., Reeves, T., (2006), Authentic tasks online: A synergy among learner, task and technology,	Distance Education, 27, 2, pages 233 - 248. Herrington, A., Herrington, J., Ferry, B., (2006), The design of an online community of practice for beginning teachers,	Contemporary Issues in Technology & Teacher Education, 6, 1, pages -. Herrington, J., (2005), Authentic tasks in e-learning designs,	Studies in Learning, Evaluation, Innovation and Development, 2, 2, pages 1 - 8. Reeves, T., Herrington, J., Oliver, R., (2005), Design research: A socially responsible approach to instructional technology research in higher education,	Journal of Computing in Higher Education: research & integration of instructional technology, 16, 2, pages 97 - 116. Agostinho, S., Meek, J., Herrington, J., (2005), Design methodology for the implementation and evaluation of a scenario-based online learning environment,	Interactive Learning Environments, 16, 3, pages 229 - 242. Herrington, J., Reeves, T., Oliver, R., (2005), Online learning as information delivery: Digital myopia,	Journal of Interactive Learning Research, 16, 4, pages 353 - 367. Reeves, T., Herrington, J., Oliver, R., (2004), A development research agenda for online collaborative learning,	Educational Technology Research and Development, 52, 4, pages 53 - 65. Herrington, J., Reeves, T., Oliver, R., Woo, Y., (2004), Designing authentic activities in web-based courses,	Journal of Computing in Higher Education: research & integration of instructional technology, 16, 1, pages 3 - 29. Herrington, J., Oliver, R., Reeves, T., (2003), Patterns of engagement in authentic online learning environments,	Australasian Journal of Educational Technology (Online), 19, 1, pages 59 - 71. Oliver, R., Herrington, J., (2003), Exploring technology-mediated learning from a pedagogical perspective,	Interactive Learning Environments, 11, 2, pages 111 - 126. Parker, J., Herrington, J., (2015),Setting the climate in an authentic online community of learning,In: Australian Association for Research in Education (AARE) 2015. Narayanan, Y., Herrington, J., (2014),Towards a theoretical mobile heutagogy framework,In: ascilite 2014. Boase-Jelinek, D., Parker, J., Herrington, J., (2013),Peer reviews: What can we learn from our students?,In: Teaching and Learning Forum (2013). Downing, J., Herrington, J., (2013),Applied learning in online spaces: Traditional pedagogies informing educational design for today's learners,In: Electric Dreams: ascilite 2013. Oldfield, J., Herrington, J., (2013),Augmenting learning reality: iPads and software as cognitive tools,In: Electric Dreams: ascilite 2013. Herrington, J., Parker, J., Boase-Jelinek, D., (2013),Social presence and participatory media in authentic learning.,In: Open and Distance Learning Association of Australia (ODLAA) 2013 Distance Education Summit. Reiners, T., Wood, L., Gregory, S., Petter, N., Teras, H., Chang, V., Herrington, J., (2013),nDive: The story of how logistics and supply chain management could be taught,In: ascilite 2013. Downing, J., Herrington, J., (2013),Design principles for applied learning in higher education: A pedagogical approach for non-traditional students in an online course,In: World Conference on Educational Multimedia, Hypermedia and Telecommunications (EDMEDIA) 2013. Sari, E., Herrington, J., (2013),Using design-based research to investigate the design and development of an online community of practice for teacher professional development,In: World Conference on Educational Multimedia, Hypermedia and Telecommunications (EDMEDIA) 2013. Vesper, J., Reeves, T., Herrington, J., (2013),Using Preliminary Risk Assessment in a Formative Evaluation,In: World Conference on Educational Multimedia, Hypermedia and Telecommunications (EDMEDIA) 2013. Teräs, H., Leppisaari, I., Teräs, M., Herrington, J., (2012),Facilitating the development of multicultural learning communities through authentic e-learning,In: International Higher Education Conference. Oldfield, J., Herrington, J., (2012),Mobilising authentic learning: Understanding the educational affordances of the iPad,In: australian society for computers in learning in tertiary education 2012. Teräs, H., Teräs, M., Herrington, J., (2012),A reality check: Taking authentic e-learning from design to implementation,In: ED-MEDIA World Conference on Educational Multimedia, Hypermedia and Telecommunications 2012. Herrington, J., Herrington, A., Olney, I., (2012),Mobile learning in higher education: Authentic tasks, assessment and Web 2.0,In: ED-MEDIA World Conference on Educational Multimedia, Hypermedia and Telecommunications 2012. Herrington, J., (2012),Design-based research: Implementation issues in emerging scholar research,In: ED-MEDIA World Conference on Educational Multimedia, Hypermedia and Telecommunications 2012. Vesper, J., Herrington, J., (2012),Considering communities of learners when creating an e-learning course,In: ED-MEDIA World Conference on Educational Multimedia, Hypermedia and Telecommunications 2012. Reiners, T., Wood, L., Chang, V., Gutl, C., Herrington, J., Teräs, H., Gregory, S., (2012),Operationalising gamification in an educational authentic environment,In: International conference on Internet Technologies & Society 2012. Vesper, J., Herrington, J., (2011),Developing Expertise in those Handling Time and Temperature Sensitive Pharmaceutical Products: Applying the Early Phases of a Design Research Methodology,In: World Conference on Educational Multimedia, Hypermedia and Telecommunications (EDMEDIA) (2011). Ozverir, I., Herrington, J., (2011),Authentic activities in language learning: Bringing real world relevance to classroom activities,In: World Conference on Educational Multimedia, Hypermedia and Telecommunications (EDMEDIA) (2011). Parker, J., Boase-Jelinek, D., Herrington, J., (2011),Perceptions and reflections: Using Skype chat to build a community of learners,In: World Conference on E-Learning in Corporate, Government, Healthcare, and Higher Education (ELEARN) (2011). Leppisaari, I., Maunula, M., Herrington, J., Hohenthal, T., (2011),Developing More Authentic e-Courses: Working Life Mentoring through Social Media,In: World Conference on Educational Multimedia, Hypermedia and Telecommunications (EDMEDIA) (2011). Pais Marden, M., Herrington, J., (2011),Supporting interaction and collaboration in the language classroom through computer mediated communication,In: World Conference on Educational Multimedia, Hypermedia and Telecommunications (EDMEDIA) (2011). Herrington, J., Reeves, T., (2011),Using design principles to improve pedagogical practice and promote student engagement,In: Australasian Society for Computers in Learning in Tertiary Education (ASCILITE) Annual Conference (2011). Herrington, A., Herrington, J., (2011),'Please switch off your (im)mobile': The demise of immobile learning in higher education,In: World Conference on Educational Multimedia, Hypermedia and Telecommunications (EDMEDIA) (2011). Vesper, J., Reeves, T., Herrington, J., (2011),The Application of Expert Review as a Formative Evaluation Strategy within an Educational Design Research Study,In: World Conference on E-Learning in Corporate, Government, Healthcare, and Higher Education (ELEARN) (2011). Herrington, J., (2010),Revisiting the Link between Teaching and Learning Research and Practice: Authentic Learning and Design-Based Research,In: International Association for Scientific Knowledge (IASK) International Conference Teaching and Learning (2010). Herrington, J., McKenzie, S., Pascoe, R., Woods-McConney, A., MacCallum, J., Wright, P., (2010),A whole-school approach to technological literacy: Mobile learning and the iPhone,In: Global Learn Asia Pacific (Global Learn) (2010). Leppisaari, I., Vainio, L., Herrington, J., (2009),Developing authentic e-learning through virtual benchmarking,In: World Conference on Educational Multimedia, Hypermedia and Telecommunications (EDMEDIA) 2009. Leppisaari, I., Vainio, L., Herrington, J., (2009),Virtual benchmarking as professional development: Peer learning in authentic learning environments,In: 26th Annual Conference of the Australasian Society for Computers in Learning in Tertiary Education(ASCILITE) (2009). Leppisaari, I., Vainio, L., Herrington, J., Im, Y., (2009),Reflections on creating an international virtual benchmarking model for authentic e-learning: Crossing boundaries and breaking down barriers,In: World Conference on E-Learning in Corporate, Government, Healthcare, and Higher Education (ELEARN) (2009). Pais Marden, M., Herrington, J., Herrington, A., (2009),Developing an Online Community of Learners for Second Language Students Using Design-Based Research,In: World Conference on E-Learning in Corporate, Government, Healthcare, and Higher Education (ELEARN) (2009). Verenikina, I., Herrington, J., (2009),Computer game design and the imaginative play of young children,In: The 8th International Conference on Interaction Design and Children. Verenikina, I., Herrington, J., (2008),The affordances and limitations of computers for play in early childhood,In: World Conference on Educational Multimedia, Hypermedia and Telecommunications (ED-MEDIA) (2008). Johnson, N., Clarke, R., Herrington, J., (2008),The potential affordances of enterprise wikis for creating community in research networks,In: 2nd Emerging Technologies Conference (2008). Herrington, J., Herrington, A., Ferry, B., (2008),New technologies, new pedagogies: Mobile technologies and new ways of teaching and learning,In: Australasian Society for Computers in Learning in Tertiary Education (ASCILITE) Annual Conference (2008). Herrington, A., Herrington, J., (2008),Authentic mobile learning in higher education,In: Australian Association for Research in Education (AARE) International Education Research Conference (2007). Peterson, R., Verenikina, I., Herrington, J., (2008),Standards for educational, edutainment, and developmentally beneficial computer games,In: World Conference on Educational Multimedia, Hypermedia and Telecommunications (ED-MEDIA) (2008). Herrington, J., Verenikina, I., (2008),iPods in early childhood: Mobile technologies and story telling,In: Australasian Society for Computers in Learning in Tertiary Education (ASCILITE) Annual Conference (2008). Verenikina, I., Herrington, J., (2008),The affordances of computer play in young children: A preliminary study,In: 2nd Emerging Technologies Conference (2008). Herrington, J., Brickell, G., Harper, B., (2008),Exploring the pedagogical foundations of museum exhibitions and their websites,In: World Conference on Educational Multimedia, Hypermedia and Telecommunications (ED-MEDIA) (2008). Herrington, J., McKenney, S., Reeves, T., Oliver, R., (2007),Design-based research and doctoral students: Guidelines for preparing a dissertation proposal,In: World Conference on Educational Multimedia, Hypermedia and Telecommunications (ED-MEDIA) (2007). Herrington, A., Herrington, J., Hoban, G., Reid, D., (2007),Teachers' perceptions of online modules to promote professional learning of ICT,In: World Conference on Educational Multimedia, Hypermedia and Telecommunications (ED-MEDIA) (2007). Pais Marden, M., Herrington, J., Herrington, A., (2007),Design-based research: Learning Italian at university in a community of learners,In: World Conference on Educational Multimedia, Hypermedia and Telecommunications (ED-MEDIA) (2007). Herrington, J., Konza, D., Tzvetkova-Arsova, M., Stefanov, K., (2007),Investigating the role of eportfolios and online courses in a community of practice: Assisting Bulgarian special educators with lifelong competency development,In: 5th International ePortfolio Conference (2007). Brickell, G., Herrington, J., (2007),Understanding learning in the 21st Century: A preliminary study into mobile technologies,In: International Association for Development of the Information Society (IADIS) International Conference (2007). Herrington, A., Herrington, J., Hoban, G., Reid, D., (2006),Transfer of online professional learning to teachers' classroom practice: An analysis of eight cases,In: World Conference on Educational Multimedia, Hypermedia and Telecommunications (ED-MEDIA) (2006). Herrington, A., Herrington, J., (2006),Using the internet for professional development: The experience of rural and remote professionals,In: 23rd Australasian Society for Computers in Learning in Tertiary Education (ASCILITE) Annual Conference (2006). Herrington, A., Rowland, G., Herrington, J., Hearne, D., (2006),The BEST approaches to online mentoring,In: Australian Association for Research in Education (AARE) International Education Research Conference (2006). Seeto, D., Herrington, J., (2006),Design-based research and the learning designer,In: 23rd Australasian Society for Computers in Learning in Tertiary Education (ASCILITE) Annual Conference (2006). Herrington, J., (2006),Authentic e-learning in higher education: Design principles for authentic learning environments and tasks,In: Association for the Advancement of Computing in Education (AACE) World Conference on E-Learning in Corporate, Government, Healthcare, and Higher Education (E-LEARN) (2006). Verenikina, I., Herrington, J., (2006),Computer play, young children and the development of higher order thinking: Exploring the possibilities,In: Transformational Tools for 21st Century Minds (TT21C) (2006). Herrington, A., Herrington, J., (2006),Identifying authentic mobile learning in teacher education: A design-based approach,In: International Association for Development of the Information Society (IADIS) International Conference (2006). Harper, B., Brickell, G., Herrington, J., (2006),Exploring students' museum experiences in the context of web-based learning environments,In: Association for the Advancement of Computing in Education (AACE) World Conference on E-Learning in Corporate, Government, Healthcare, and Higher Education (E-LEARN) (2006). Herrington, J., Herrington, A., (2006),Authentic conditions for authentic assessment: Aligning task and assessment,In: 29th Higher Education Research and Development Society of Australasia (HERDSA) Annual Conference (2006). Brickell, G., Herrington, J., Olmos, M., (2006),Blending field experiences with authentic learning in an online environment,In: International Conference on Information Communication Technologies in Education (ICICTE) (2006). Herrington, A., Herrington, J., (2005),The BEST site on the internet: An online resource for beginning and establishing successful teachers,In: World Conference on Educational Multimedia, Hypermedia and Telecommunications (EDMEDIA) (2005). Herrington, A., Herrington, J., (2005),Building online communities of practice for teachers,In: Online Teaching and Learning (OLT) Conference (2005). Herrington, J., (2005),Interactive television: Educational use in the new millennium,In: 22nd Australasian Society for Computers in Learning in Tertiary Education(ASCILITE) Annual Conference (2005). Brickell, G., Herrington, J., Harper, B., (2005),Integrating problem-solving strategies and fieldwork into an authentic online learning environment,In: International Association of Science and Technology for Development (IASTED) International Conference on Education and Technology (ICET) (2005). Brickell, G., Herrington, J., Harper, B., (2005),Technology-supported collaboration on field-based authentic tasks,In: World Conference on Educational Multimedia, Hypermedia and Telecommunications (EDMEDIA) (2005). Herrington, J., (2005),The state of the art of design-based research,In: World Conference on E-Learning in Corporate, Government, Healthcare, and Higher Education (ELEARN) (2005). Brickell, G., Herrington, J., (2004),Learner challenges and situated learning: Engaging students at Sydney Olympic Park,In: 21st Australasian Society for Computers in Learning in Tertiary Education (ASCILITE) Annual Conference (2004). Herrington, J., (2004),Contemporary trends in e-learning design and their advantages,In: 2nd Annual Teaching and Learning Showcase (2004). Verenikina, I., Lysaght, P., Herrington, J., (2004),Child's play: Exploring computer software through theories of play,In: World Conference on Educational Multimedia, Hypermedia and Telecommunications (EDMEDIA) 2004. Brickell, G., Brown, G., Lockyer, L., Herrington, J., Harper, B., (2004),A technology supported visitation program to the Sydney Olympic Park: Learner challenges and teacher support,In: World Conference on Educational Multimedia, Hypermedia and Telecommunications (EDMEDIA) 2004. Agostinho, S., Herrington, J., (2004),An effectiveness evaluation of an online learning environment,In: World Conference on Educational Multimedia, Hypermedia and Telecommunications (EDMEDIA) 2004. Herrington, J., Reeves, T., Oliver, R., (2004),Online learning as information delivery: Digital myopia,In: World Conference on Educational Multimedia, Hypermedia and Telecommunications (EDMEDIA) 2004. Herrington, A., Herrington, J., (2004),University to work transition: Implications for the evaluation and design of online communities of practice,In: 21st Australasian Society for Computers in Learning in Tertiary Education (ASCILITE) Annual Conference (2004). Herrington, A., Herrington, J., Lockyer, L., Brown, I., (2004),Beginning teacher network: The design of an online community of practice for beginning teachers in Australia,In: World Conference on Educational Multimedia, Hypermedia and Telecommunications (EDMEDIA) 2004. Herrington, A., Glazer, E., Herrington, J., (2003),Describing and categorising online professional development for teachers,In: World Conference on Educational Multimedia, Hypermedia and Telecommunications (EDMEDIA) 2003. Herrington, J., Oliver, R., Reeves, T., (2003),'Cognitive realism' in online authentic learning environments,In: World Conference on Educational Multimedia, Hypermedia and Telecommunications (EDMEDIA) 2003.